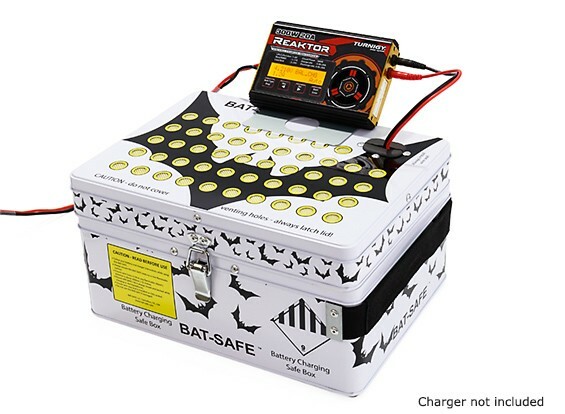 Bat-Safe LiPo battery charging safe box: The guys at Bat-Safe are RC enthusiast and came up with a safe and awesome solution to store, transport and most importantly charge your LiPo batteries. I’m not sure how often batteries burst in to flames while charging? Probably not frequently enough to warrant something like this? I’m inclined to agree with @PingSpike … to the extent that if I thought LiPo batteries were really so dangerous, I’d probably find a new hobby. My house does have new smoke detectors …. I use Lipo bags when charging racing drone Lipo packs. They charge at a much higher rate. They are easier to over discharge. They get banged up in crashes. I don’t bother with the DJI intelligent batteries as none of the above applies. One thing I always do no matter the battery is only charge while I’m home. If I know I’m going to go flying I charge my batteries on the side table overnight, if I’m not going out they sit in the bag. If they are going to be so dangerous that I had to put them in a fireproof safe I wouldn’t have them in the house.